» Forum » All Pinball » Which are the strongest flippers available? » Which are the strongest flippers available? Which are the strongest flippers available? Starting a homebrew and need the absolute strongest flippers available. I have heard the newer Sterns have quite the velocity, but are they stronger than a new set of the strongest Williams flippers (middle to late 90's with the strongest coils)? Strongest Williams flipper coil. Use the mid to late 90’s mech too so you have the extension spring instead of the compression spring. 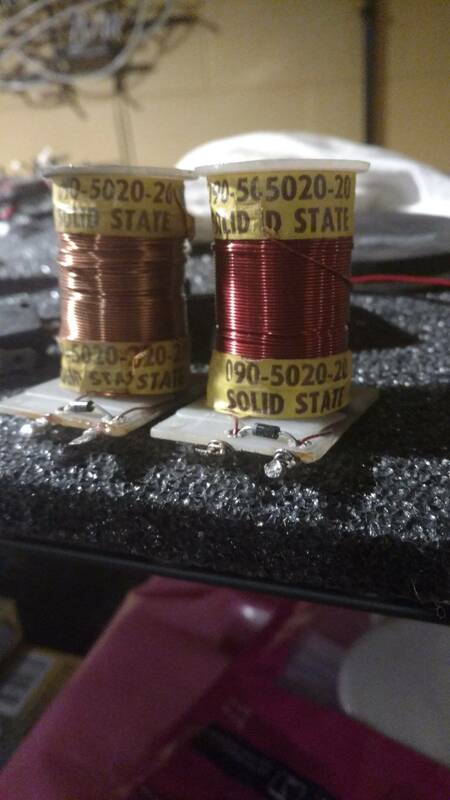 I thought the FL-17636 used on STTNG was the strongest flipper coil. So it seems the late model Williams with strongest coil are regarded as being stronger than modern Sterns? Modern sterns use a single wound not double wound and require very different programming to work. So it all depends on what you want to do. These were ridiculous in Robocop. Destroyed everything in their path. It's all in the coil. And yep, single wound. Get everything out of the way..
Aren't capcoms flippers stronger than Williams ? I have decided to go with the Williams because I like the feel of them, and FL1-11629 are what I will be using. Is this true? If so, how do capcom games “feel” vs Williams games? Hercules flipper mechs with normal bats. You think so? Hercules is very sluggish to play. There isn't any competition as far as I'm concerned; Data East Robocop has the most stupidly overpowered flippers of any machine ever, even to this day. Full Throttle's were no slouch either, the game was designed for speeed but we kept it just the right side of the line. Put a 3" flipper bat on that mech and hit a standard ball.